Arnvicar Farmhouse (sleeps 6/8) provides spacious accommodation for up to 8 guests and has an enormous indoor games/leisure room for wet days. The house is south facing and has a well appointed kitchen/dining room, a bathroom and separate shower-room, 2 double or twin bedded rooms plus a bunk bed room. The lounge has a log fire and the suite includes 2 chair beds. Sunny south facing garden. Yew Tree Cottage (sleeps 4) is a traditional stone built cottage. The accommodation which is all on one floor includes a cosy lounge/dining room, with an open fire, two double or twin bedded rooms, pine kitchen, bathroom with shower, and a separate utility outhouse. The enclosed garden is south facing and very sheltered. 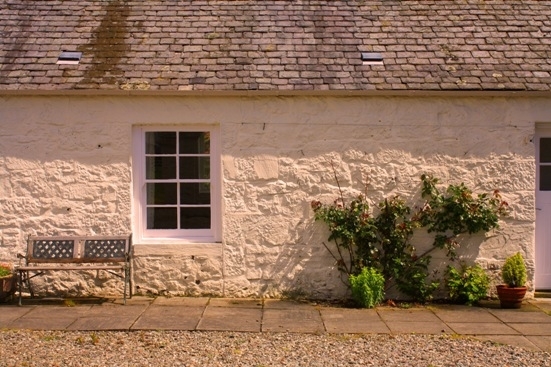 Gartur Bothy (sleeps 4/5) forms part of a traditional farm courtyard. (The farm is no longer working). In an exceptionally peaceful spot the accommodation consists of a spacious living room with wood burning stove, sofa bed as part of the suite, kitchen/breakfast room, bathroom with shower, and utility room with washer/dryer. 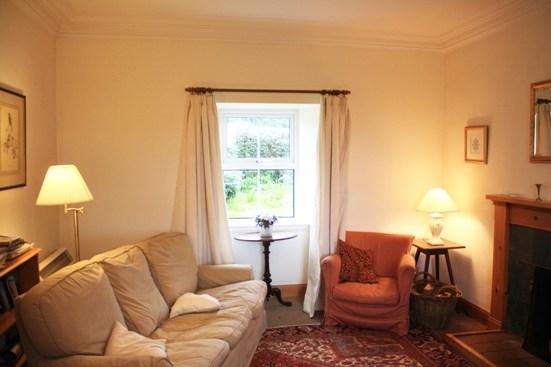 Upstairs there are two traditional cottage double or twin bedded rooms with spectacular views. The Bothy has the use of a south facing grassed area with far reaching views of the Fintry Hills and the Campsie Fells. Ash and Hawthorn Cottages (both sleep 4). These newly renovated cottages are a "barn" conversion next to Arnvicar Farmhouse and apart from decorative differences are almost identical. On the first floor each has two double (or twin bedded) rooms and a bathroom and on the ground floor an entrance lobby, shower room, storage cupboard and open plan living room, kitchen with open coal fire. Through a communal lobby they have access to a utility room containing the washing machine and tumble dryer, barbecues and garden furniture. The fully fitted pine kitchens are equipped with electric cookers, fridge freezers and microwave. The cottages have radio/CD players, colour combi TVs and satellite available for guests who wish to bring their own decoders. Ash and Hawthorn can be combined for larger parties of up to 8. 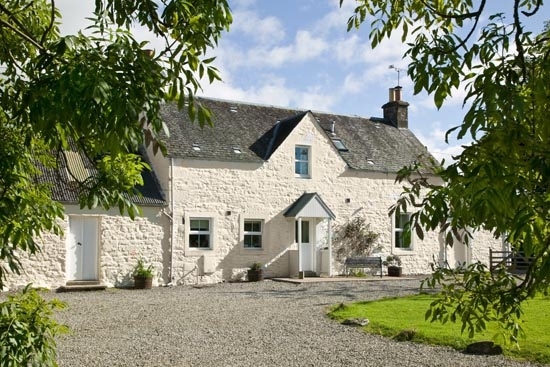 The cottages face west and look over open farmland with, on fine days, a lovely view of Ben Lomond. They have a large enclosed garden and through the rear lobby have access to Games Room at Arnvicar.